Hey Doug, Can I still get your graphic poem in print? I've noticed more than a few motorcycles in your prolific body of work, have one? Always amazed. What an awesome drawing! I can hear the crunch of the hood and the shattering of the glass, and it's all happening in slow motion... The visual is so provocative - makes me want to read the story. I'll get it online. Love the two color palette, too. Doug - cool mix of technology and print. Gorgeous work - I just ordered a hard copy. Nothing like having and holding a good book. Very cool. Love the art. I think I'll follow Carl's lead and get a hard copy of your piece. Harry, yes I do have one now. I've owned a lot of different bikes, at different times. Everything from Honda CB100, Ninja, Ducati, Beemers, and Harleys. I wished I'd kept em' all. I got the bug at thirteen. Also to the rest of you guys; Thanks for checking out the comics too! Chris, Woof! back at you. I had a Rupp when I was about thirteen, kind of a mini bike that looks like a small motorcycle, stripped sprocket, never could repair. My brother had just bought a Honda 750 four, 1976. I had a Harley 883 a few years ago. If I was to buy another it would be a BMW. 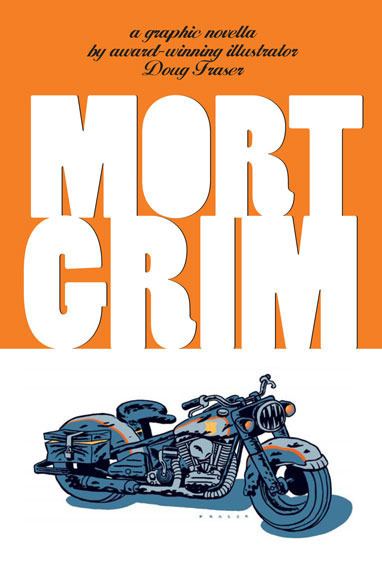 C'mon now, Mort Grim deserves 5 stars! Ha! thanks Paul. Harry, Beemer eh'. I owned three of them. I enjoy the old air cooled versions best. Still I wished they would have stuck with the original "K" series engine and drive train layout too. Those were cool in that strange Beemer way. Their new stuff is feeling kinda big and plasticky. You should checkout the new Guzzi's. Some sweet stuff there. Just get out there and RIDE! Mort Grim = Rocks! I had a Honda CT70 when I was 13, does that count? very cool. 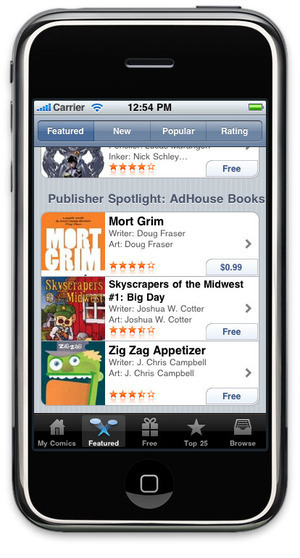 I love reading comics on my iPod Touch so I'm definitely gonna get this one one. 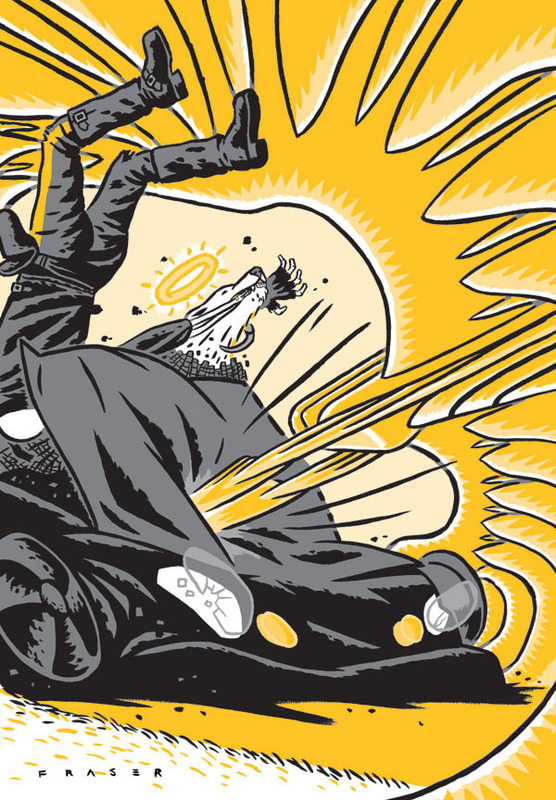 Great looking app, great looking comic.